Springtime has arrived on the Space Coast; and beautiful weather means lots of time spent in, on, and around the water. Set sail from Harbortown Marina – Canaveral, and spend a relaxing day cruising the waterways. One of the best ways to enjoy the water this season is to get your boat out on the water, and soak up the sunshine. Just be sure to keep your activities accident free, by practicing boating safety with your whole family. Keep boats tied to the dock whenever passengers are loading and unloading. Always keep a close eye on young children near boat controls – little hands are eager to push buttons! Wear the kill-switch safety lanyard attached to your life vest to make sure the engine stops if you fall overboard. Many boat safety classes are available for the whole family, and getting safety certified can make everyone more comfortable on the water. Make sure children always wear life jackets when on board, and anytime they are near the water. Also, life vests on your boat must be sized correctly, especially for younger children. There should always be enough adults available so that one can focus on operating the boat, while the other can monitor the children. Infant passengers should always be outfitted in a baby life vest with head support, and should be held in a passenger’s arms for the duration of the boat cruise. Keep everyone safe from the sun! Use lots of sunscreen, and wear hats and glasses to ward off harmful rays. 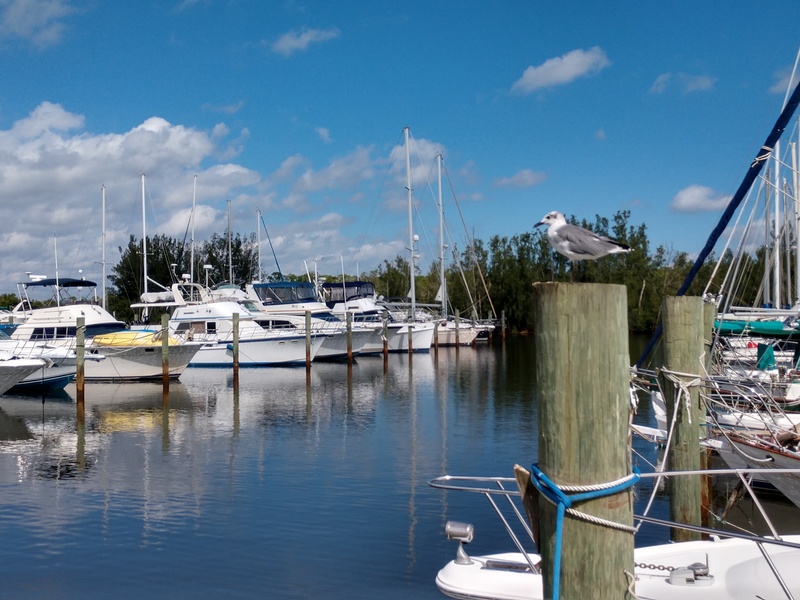 Brevard County offers some of the best waterside activities for the whole family, and there is plenty to do for all the landlubbers too! Fishing and boating are great ways to spend time with family and friends, and memories made on the water will last a lifetime. Once you come ashore, visit some of the amazing restaurants, take in a play at one of the theaters, or golf at one of the 20 courses on the Space Coast. There’s so much to do that you won’t want to miss a thing! Enjoy the convenience of storing your boat at Harbortown Marina – Canaveral, where you’ll spend less time on the boat ramp, and more time having fun with your family.